Continuing our jump into theater, Champlain College's first City of Refuge Visiting Writer and internationally acclaimed writer and intellectual, Pierre Mujomba, will be at the Alumni Auditorium to speak of his life on April 7th. Mujomba's speech, "A Writer in Exile: Reflections on Censorship and Freedom," draws from his views on censorship, and the hardships he had with artistry and expression as a playwright in The Democratic Republic of Congo. Mujomba, who formerly worked as an African linguistics consultant at MIT, Boston University, and Brown's African Studies Department, fled the Congo in 2003 after the publication of his best-known play, The Lost Envelope. He has been awarded the Roger H. Perry endowed chair, and has spent much of his time at Champlain lecturing to classes and writing plays. Mujomba has a fascinating story, and is certainly worth seeing. The event is free and open to the public. Doors open at 6pm. Champlain College playwright and director of Champlain Theater, Joanne Farrell, will be showcasing the College's acting chops with a presentation of "The Beauty Queen of Leanne" this week at the Flynn. The Irish drama, written by Martin McDonagh, takes a hard look at mental illness, loneliness, and betrayal. Knowing Joanne Farrell, I'm sure this work will be done justice. Performances are April 1st-4th and April 9th-11th and all start at 8pm. Tickets are $20 and can be purchased at the Flynn website. Rusty Dewees, famous for his "Logger" comedy routine, is bringing his skills and "backstage secrets" to Champlain College's Alumni Auditorium. While Dewees is perhaps Vermont's most beloved comedian, he is far more than the blue collar logger act he plays. Dewees is an entrepreneur, musician, actor, producer, and "master of duct tape." The 1984 graduate of Champlain College will be speaking for the BYOBIZ Guest Speakers program, "Speaking from Experience." Check it out tonight at 7pm in the Alumni Auditorium. Not all college students spend every second studying for those exams. Check out Champlain student Laura and her roommate "singing" some familiar tunes. 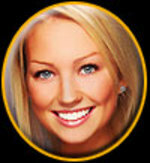 Brooke Werner, a senior Public Relations major at Champlain College, was recently named Miss Vermont USA for 2009. Unlike the Miss America pageant, the Miss USA competition does not feature a talent round. Instead, the women are judged based on evening gown and bathing suit modeling, as well as on an interview. Incidentally, Miss Vermont has won the "Congeniality" award five times in the Miss USA pageant, three more times than any other state. Congeniality is evaluated on terms of how friendly the contestant is and how enjoyable she makes the competition for everyone else. In other news, I was recently awarded the "Mr. Monroe Street Award," in which my cat Vonnegut placed second. He withdrew from the bathing suit competition, as he was distracted by a shoelace and could not be convinced to put on the suit. I thank all who voted for me (which is me). Also, congratulations on winning, Brooke! Champlain College had an open house last Wednesday to showcase its renovations and expansions beyond the Hill of Burlington as part of its eerily titled "Master Plan." Styrofoam models and artist renderings were on display, along with architects, planners and the college administrators. I attended the event (as a student) to find out how the residents felt about their big neighbor. Some residents were upset that Champlain outbid the YMCA for the Ethan Allen Club property, and that there would be more noise and more beer cans in shrubbery. Kathy Valloch found many students to be rude, unreasonably loud (particularly from Thursday through Sunday), and frequently prone to property destruction. She cited the downtown bars as a major factor, noting that the students "run up the hill screaming once they close." Sounds like UVM kids to me. As part of its BYOBIZ Speaking From Experience series, Dealer.com COO Michael Lane will be at Champlain College to discuss the company's phenomenal growth since its founding in 1998. Dealer.com creates web-based marketing campaigns and supports thousands of online marketing solutions across North America for the automotive industry. The company is the recipient of numerous awards including the 2007 Deloitte Technology Fast 50 (growth) award and was listed in the 2007 Inc. 5000’s “Fastest Growing Private Companies of America”. Seven Days has partnered with dealer.com on The Seven Days AutoFinder, a digital inventory of new and used local vehicles for prospective buyers and sellers. You can hear Lane speak on Tuesday at 7:30 in Champlain's Alumni Auditorium. Champlain College is purchasing the Ethan Allen Club on College Street, adding more space to the college's growing need to house its students. The college also recently purchased the Eagles Club's building on Pine and Maple earlier this summer, as it plans to accommodate all 2,000 of its students by 2016. The newly acquired buildings will reportedly fit 600 beds. Champlain intends to begin the permit process for the Ethan Allen Club this upcoming summer, and will hopefully break ground by 2011, when the Club moves out. Champlain College has scheduled two open houses for neighbors and community members to discuss details of their Master Plan. The first is being held this evening at 6 P.M. in the Hauke Lounge, and the second will take place on Saturday from 9 A.M.-12 P.M. The Best Careers in the Best State This Saturday at Champlain College! Fellow students — if finding your dream job after college is important, clear your Saturday schedule! 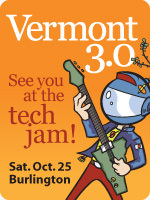 The Vermont 3.0 Career Jam will be at Champlain College on the 25th to dispel the rumor that there are no jobs in Vermont. No, you won’t find any covered bridge engineers or sugarers here. Fortunately, from real-life CSI’s, to video game designers, to professional facebookers, to robot makers and tons more — there are some extremely cool jobs at the Career Jam. Some of the most dynamic jobs and most innovative professionals, not just in Vermont, but nationally, will be participating in panel discussions throughout the day. 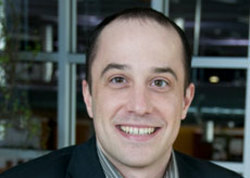 Definitely check out Steve Benen at 10 a.m. Benen is a blogger and contributor to The Washington Monthly. His background includes publishing The Carpetbagger Report, and writing for the Huffington Post, and The Guardian. He has also appeared on NPR's "Talk of the Nation," MSNBC's "Rachel Maddow Show," Air America Radio's "Sam Seder Show," and XM Radio's "POTUS '08." If you’re interested about making a career as a blogger, or even a journalist, this is your guy! This is not just some college blogger working for a local paper, this guy is big! A must-see! But if blogging and political reporting doesn’t cream your coffee at that hour, listen to Nate Herzog, Director of Information Services at JDK Design. Before JDK he worked for MIT in the support division of the IS/IT Department where he was a support specialist, system administrator, and technical writer. This bears mention--his college degree was in English literature… and then he worked in technology at MIT. There is absolutely no way this guy will be a bore with a skill set like that. Alan Newman will be speaking in the Alumni Auditorium at Champlain College on Tuesday night as part of the college’s BYOBIZ "Speaking From Experience" series. Newman, a serial entrepreneur, helped found Gardener’s Supply, a gardening catalog business, Seventh Generation, which capitalized on the wave of interest in environmentally friendly products, and Magic Hat, the popular South Burlington-based brewery. BYOBIZ (Bring Your Own Business) is Champlain College’s innovative program that provides close consultation and advice to aid student entrepreneurs’ emerging businesses. Successes include Mophie, an ipod accessory company that won a "Best of Show" award at the 2006 Macworld Expo in San Francisco, Third Shift Clothing, whose products are sold in Burlington and online, and GoTradingPost.com, an eBay consignment business in Burlington. Upcoming speakers at the program include Michael Lane, founder of Dealer.com, Jerry and Rich Tarrant Jr. of mywebgrocer.com, and Roy Heffernan of Life is Good. All events are free and open to the public. Newman speaks at 7 p.m. Tuesday, October 14 at the Alumni Auditorium, Champlain College in Burlington. Author's Note: This writing is entirely satirical and is presented to note the growing disparity between a college's needs and the residential community's wishes. Burlington, VT—Residents of Burlington’s Hill section held a meeting Tuesday night to discuss the economic and social implications of Champlain College’s construction of a three-foot-tall, one-foot wide mailbox on the intersection of Maple and South Willard streets. I like to consider myself to be relatively politically informed. Heck, I even vote! After reading Max’s post I was struck that I had no idea who was running in the primary for Burlington’s Chittenden 3-3 district, the area encompassing much of Champlain College’s campus. Dormitories like Summit, Main St. Suites, 396 Main and North House are swallowed into the 3-1 district, along with UVM, portions of the Hill section and the Old North End. Actually, I wasn’t sure how I could vote if I wasn’t a legal resident of the state or had a Vermont driver’s license. So, listen up Champlain students. You can vote! And it’s pretty easy, even if you are a flatlander. Voter registration forms can be found at City Hall on Church St. in Burlington.